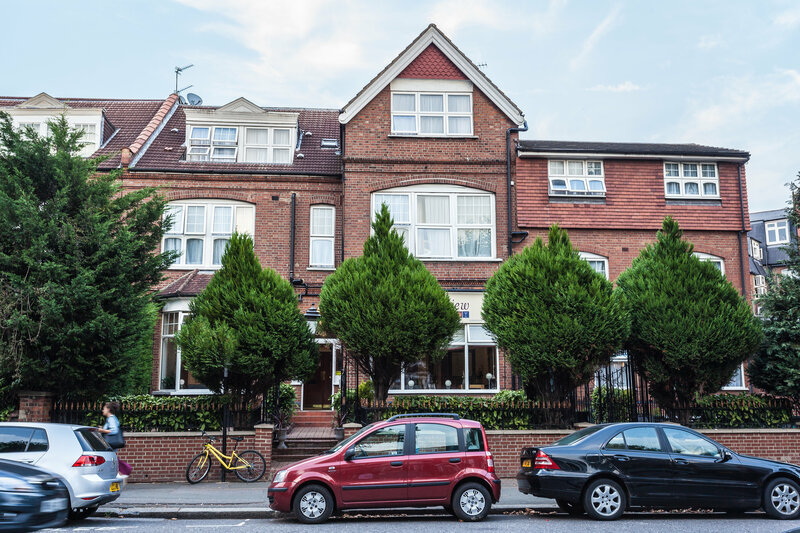 The Roseview Hotel is a Bed and Breakfast Hotel in Muswell Hill, about 20 minutes from Central London. If you are travelling by London underground, the nearest stations are Highgate and East Finchley on the Northern Line, and Bounds Green and Finsbury Park on the Piccadilly Line. 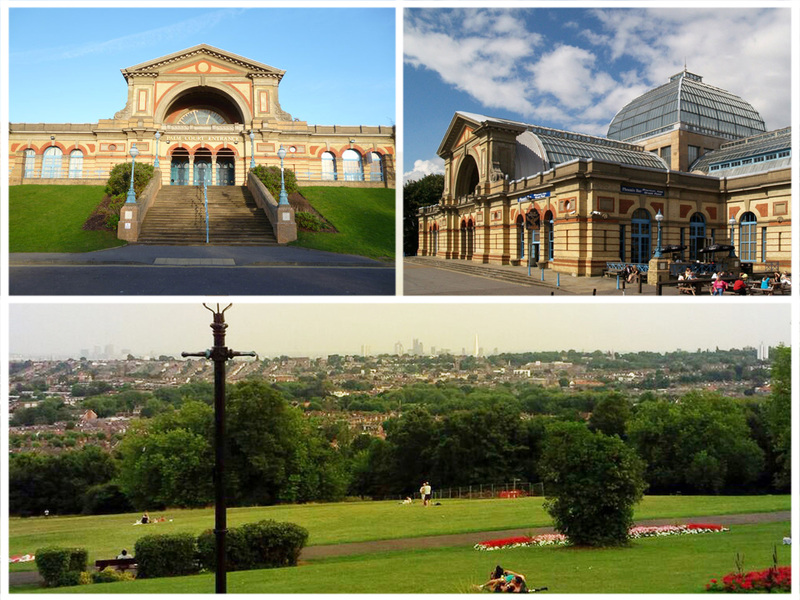 The hotel is also near Alexandra Palace station, which is on the First Capital Connect overground network. 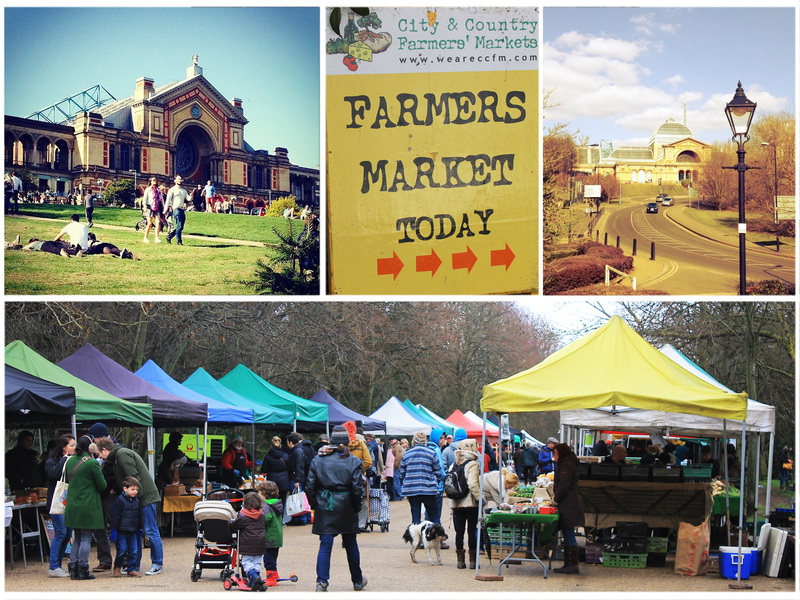 Muswell Hill is easily accessible from the M1, M4 and M11 motorways, via the A406 North Circular Road. The hotel has off-street parking facilities available both at the side and at the back of the premises. However these are allocated on a first-come-first-served basis and cannot be reserved. 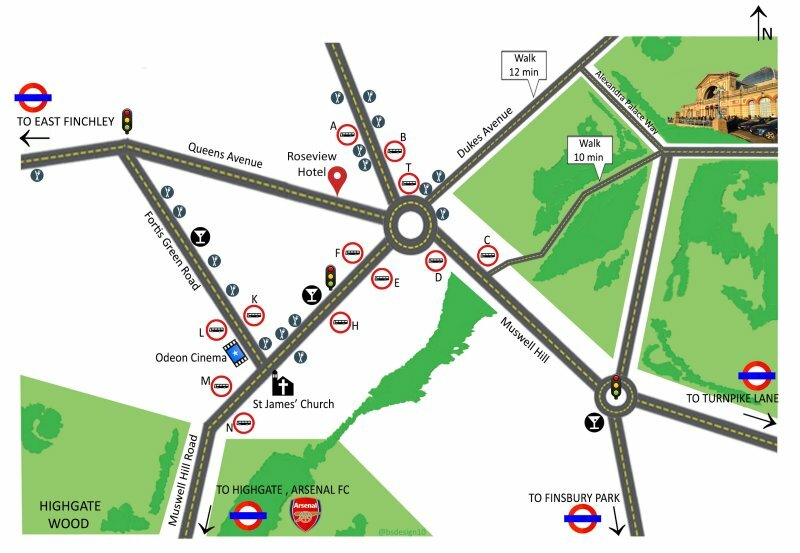 There are no parking restrictions on Queens Avenue, so extra parking is available on-street and the surrounding area. The hotel has off-street parking facilities available both at the front and at the back of the premises. However these are allocated on a first-come-first-served basis and cannot be reserved. There are no parking restrictions on Queens Avenue, so extra parking is available on-street.